Now that winter seems to finally be over here in the Midwest (I just jinxed it, didn't I? If it snows one more time...), people everywhere are throwing open their windows, packing up their down jackets and turning their faces to the sky to enjoy the long-awaited sunshine. You put your vehicle through a lot this winter, so it's time to turn to WaterSavers, a consumer awareness campaign from the International Carwash Association (ICA), for all of their great tips to take care of any damage done by this year's harsh winter and keep your car in optimal shape for spring and summer. 1. Your car is a reflection of who you are. There's no question your car is a reflection on you. Whether it's all about horsepower, efficient gas mileage or four-wheel drive, your vehicle represents who you are, where you've been and where you intend to go. The design, form and function are extensions of your style and personality. So, if you haven’t given it a wash in a while, what does that say about you? You wouldn’t walk out the door without a shower, a shave and a little spruce up. (Would you?) So why shouldn’t you show that same respect for your car? From dirt and dust to grit and grime, give that car its reflective shine at a WaterSavers car wash. WaterSavers professional car washes use an average of 40 gallons of fresh water or less per car, according to the International Carwash Association (as a frame of reference, that 10 minute shower you took used 25 gallons of fresh water). 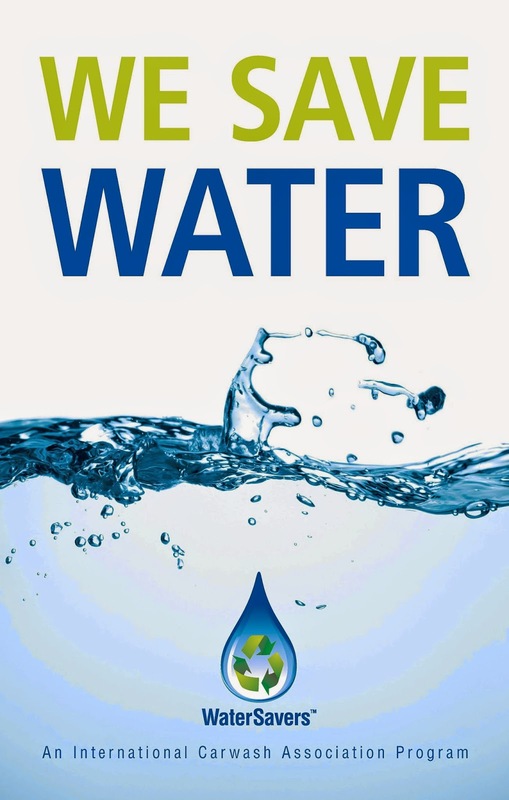 WaterSavers washes also recycle and filter the water to prevent harmful chemicals from entering groundwater supplies that feed rivers and streams. 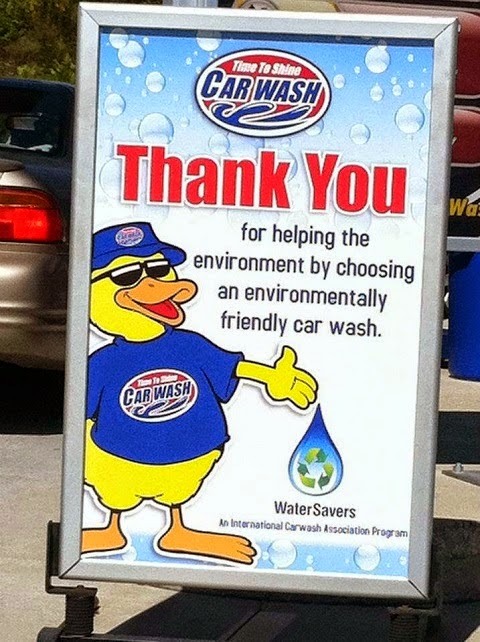 To find a WaterSavers car wash near you, visit WashWithWaterSavers.com! 2. Regular car washes protect your paint job. That beautiful factory paint job will dull and begin to chip away if you don't maintain it. Regularly washing your car and waxing it will help keep your car looking as good as it did when you pulled out of the dealer lot. 3. Professional car washes help maintain the value of the vehicle. You might be more inclined to spend money on engine issues than the car's exterior, but stains and rusting can drastically decrease the value of the vehicle over time. Especially after a long winter, exposure to the elements can cause damage. 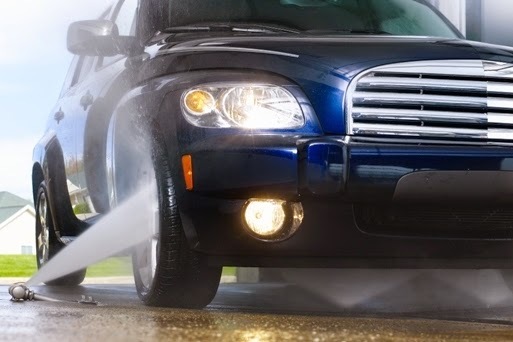 Professional car washes thoroughly clean the undercarriage of your vehicle, where there may be a buildup of road salt that could cause corrosion to the car's exhaust and muffler system. Spring cleaning isn’t just for your home – it's a smart thing to do for your vehicles, too. A few simple steps can help boost your vehicle's integrity and beauty while maintaining its value, plus you might even regain that new-car smell! 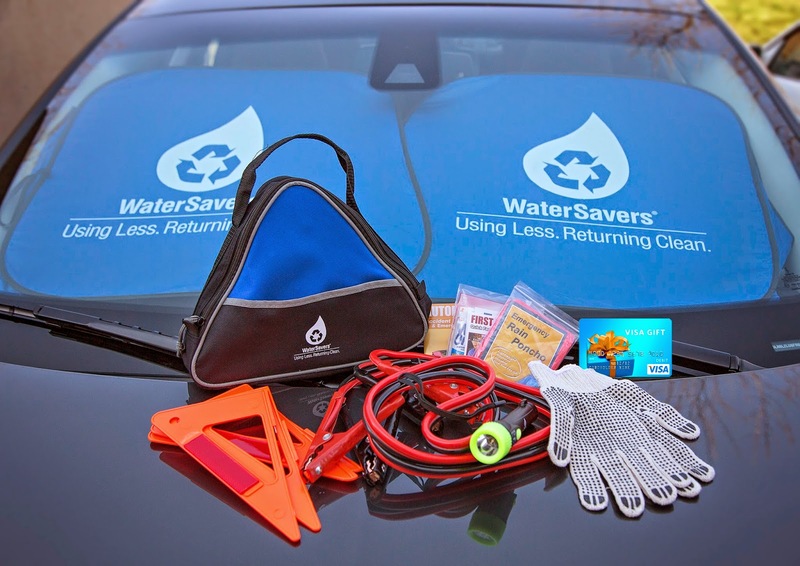 One lucky person will win a WaterSavers Prize Pack (total ARV $100)*! *Prize Pack includes (1) $30 Visa gift card, (1) auto kit with jumper cables, gloves, flash light, reflective cones and other must-have tools, and (1) sunshade for protecting your car from the blazing sun. A big thank you to ICA for providing a prize pack for me as well as for one lucky giveaway winner. The opinions shared are my own and honest and if you really need to see more, click here to see how I roll.